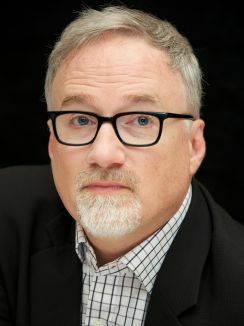 With only a handful of credits tucked under his belt, wunderkind prodigy David Fincher became one of the most celebrated artists to scale the heights of Tinseltown during the late '90s and early 2000s. Although Fincher met with some derision early on, as the director of the critically excoriated Alien 3 in 1992, his work on Seven three years down the road won him critical approval and unanimous acceptance across the industry, and marked only the beginning of an influential, splashy career. Born on May 10, 1962, Fincher originally hailed from Denver. Like one of his predecessors, the infamous Kenneth Anger, he stepped behind a camera at the tender age of eight and, particularly inspired by the work of George Lucas, reeled in his first major industry job ten years later at Lucas' own Industrial Light and Magic. After his four-year stint at ILM, during which he worked on such productions as Return of the Jedi (1983) and Indiana Jones and the Temple of Doom (1984), Fincher helmed commercials and music videos for the likes of Aerosmith, Paula Abdul, and Madonna. Following the disappointment of Alien 3, his directorial debut, the filmmaker received Andrew Kevin Walker's screenplay for Seven, and almost immediately signed on to helm it; it reached cinemas in late 1995. 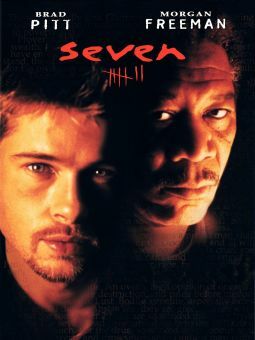 A noirish, grimly atmospheric crime thriller starring Morgan Freeman and Brad Pitt as detectives following the gruesome trail of a serial killer (Kevin Spacey), innumerable critics hailed the picture as one of the most innovative and unsettling of the decade, and duly established its director as one of Hollywood's most exciting and unusual new talents. Relentlessly grim and oozing with rancid cynicism, this A-budget feature strayed so far from the escapist fare that typically primes a film for mainstream box-office success that many insiders anticipated limited appeal, but Fincher's stylistic panache and inhibition-defying gutsiness turned Seven into a runaway smash, on both commercial and critical fronts. Because the acclaim surrounding Seven made the relatively unknown Fincher one of Hollywood's hottest young directors, considerable anticipation and buzz surrounded his follow-up, The Game. Released in 1997 and starring Michael Douglas as a soulless attorney who becomes caught up in the sinister, Kafka-esque machinations of the titular scheme, the work boasted almost as much feel-bad cynicism as Seven, but failed to resonate with audiences or critics who found it hopelessly convoluted and shallow. The relative disappointment of The Game, however, did little to dim the excitement that accompanied Fincher's next project, a screen adaptation of Chuck Palahniuk's apocalyptic, of-the-moment novel Fight Club. Featuring a sterling cast that included Edward Norton, Helena Bonham Carter, and Seven collaborator Pitt, the 1999 film -- about a couple of depressed urban loners (Norton and Pitt), who vent their aggressions in ultra-violent street brawls -- was easily one of the most publicized of the decade and no less dynamic than either of Fincher's prior films. Fueled in equal measure by stylistic audacity and the spirit of disenfranchised machismo, Fight Club failed to become the incendiary hit both its fans and detractors predicted, although its pre-millennial nihilism influenced directors for years to come and garnered a passionate cult fan base. In spite (or perhaps because) of Fight Club, expectations were high for Fincher's next project, Panic Room, a thriller starring Jodie Foster, Jared Leto, Forest Whitaker, and Dwight Yoakam, and penned by the prolific David Koepp (Bad Influence, Carlito's Way). As pure an exercise in suspense as could be expected from the director, the film ratcheted up tension as it told the tale of a newly single Manhattan mother (Foster) and her diabetic daughter (Kristen Stewart) who use a high-tech "safe space" to protect themselves from a particularly nasty trio of burglars. Calling to mind the brutality of Peckinpah, Panic Room was greeted by positive reviews and a healthy box-office take, and marked a successful return to the big screen for the two-years-dormant Foster. Dormancy would characterize Fincher's career in the five years following Panic Room, although his name would be bandied about in association with a slew of high-profile projects (including Mission: Impossible III and the feature-film adaptation of Lords of Dogtown). When he finally returned in 2007, it was with Zodiac, a period thriller that resembled, at least on the surface, his Seven salad days. Pairing the director with such young, in-demand performers as Jake Gyllenhaal and Mark Ruffalo to tell the true story of the cryptic serial killer who terrorized the San Francisco Bay area in the early '70s, the highly anticipated project was given a March berth similar to that of Panic Room. As Fincher made the media rounds for Zodiac, he was deep into production on the New Orleans-set The Curious Case of Benjamin Button, an adaptation of the F. Scott Fitzgerald story of the same name that reunited him with Brad Pitt, and co-starred Pitt's onscreen spouse from Babel, Cate Blanchett. When that film finally hit theaters, during the awards season of 2008, it rung up strong box office receipts, and garnered 13 Oscar nominations, more than any other film that year. In addition to Best Picture, Best Actor, and Best Screenplay nods, the Academy handed Fincher his first nomination for Best Director. Fincher continued to enjoy success with The Social Network in 2010. 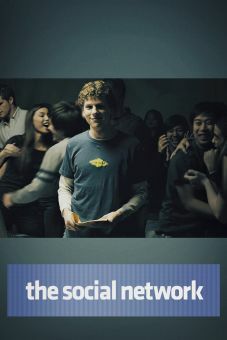 The film, which chronicled the tumultuous progression of Facebook from a college project to an international phenomenon, earned Fincher an Oscar nomination for Best Director, while Jesse Eisenberg snagged the award for Best Actor. The Social Network also won Academy Awards for Best Adapted Screenplay, Best Original Score, and Best Editing. Fresh off the success of The Social Network, Fincher went on to direct the adaptation of novelist Stieg Larsson's The Girl with the Dragon Tattoo (2011), a powerful thriller that finds an unlikely pair investigating the disappearance of a woman whose uncle suspects foul play. 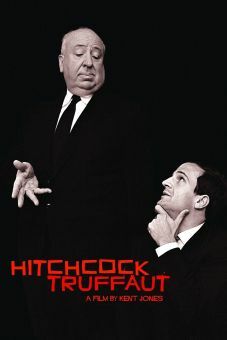 The film was nominated for Best Picture by The Producers Guild of America and The National Board of Review, and for Outstanding Directorial Achievement by the Directors Guild of America. Fincher is slated to direct The Black Hole in 2014. Briefly lived outside of San Francisco in grade school, while the infamous Zodiac Killer murders were occurring. Later directed the 2007 film Zodiac about the murders. Lived two doors down from George Lucas while growing up, and worked at the director's Industrial Light & Magic visual-effects company for a few years in the early '80s. Directed a controversial commercial for the American Cancer Society that featured a fetus smoking a cigarette. Directed well-known music videos for Madonna ("Vogue"), Paula Abdul ("Cold Hearted"), Aerosmith ("Janie's Got a Gun") and George Michael ("Freedom '90"). Made his feature-film directorial debut in 1992 with the sci-fi sequel Alien³. Cast Rooney Mara as the lead in The Girl with the Dragon Tattoo (2011) after she played a small role in his previous film, The Social Network (2010).